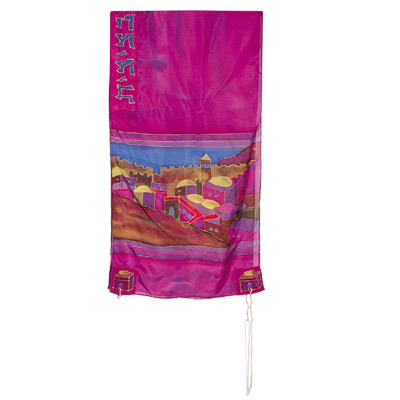 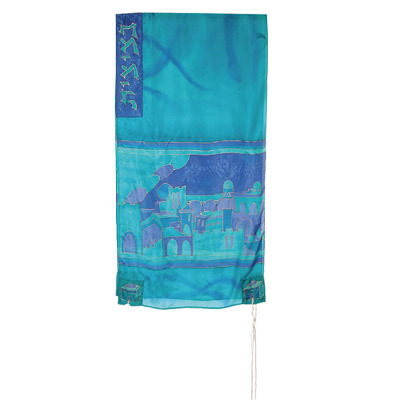 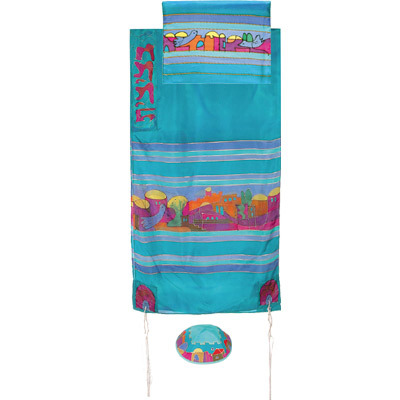 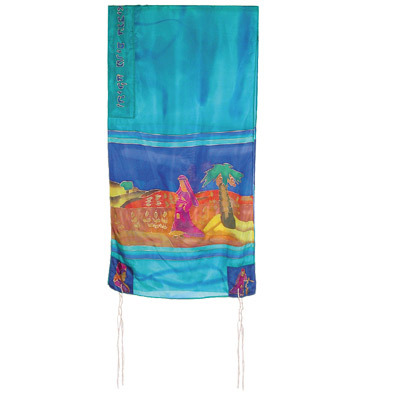 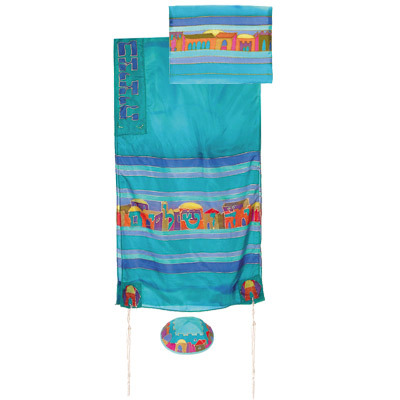 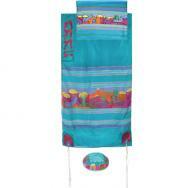 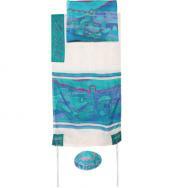 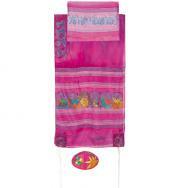 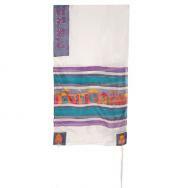 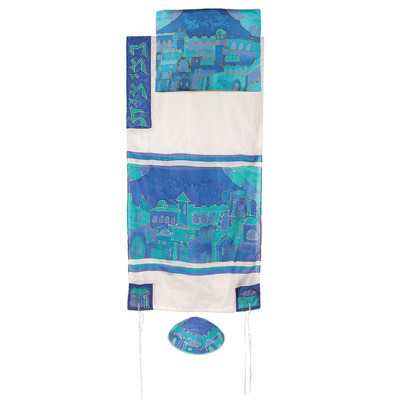 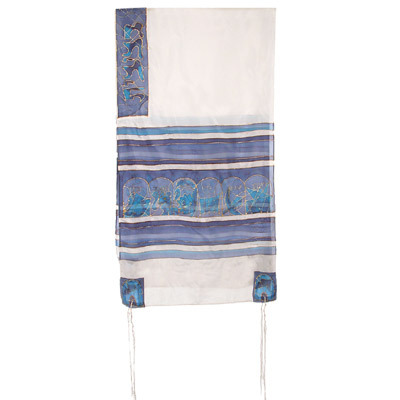 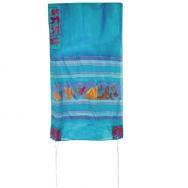 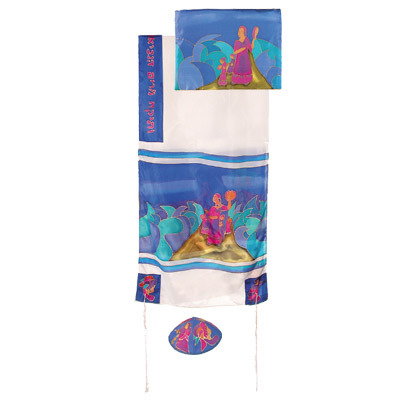 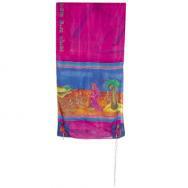 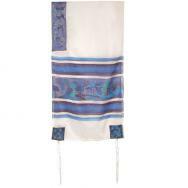 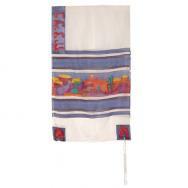 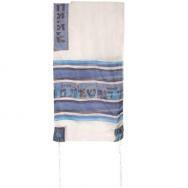 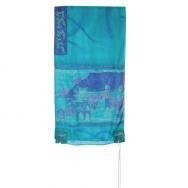 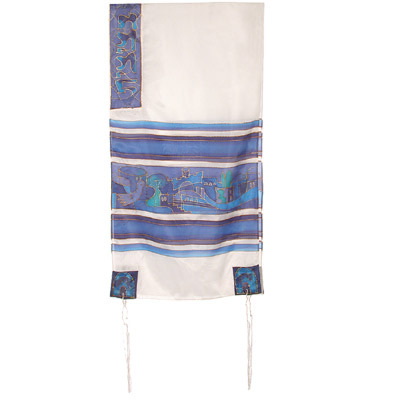 Yair Emanuel’s tallit sets are hand painted, using silk dyes over pure, high quality silk. 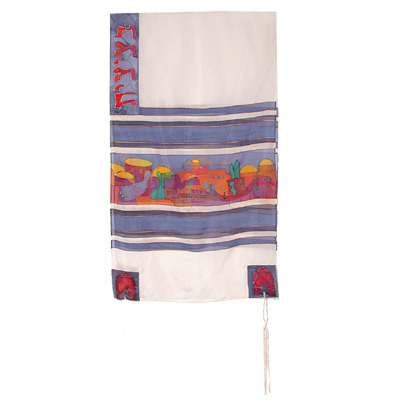 The tallit sets are decorated in colorful patterns, rimmed by golden and black lines, and undergo a process of fixation that preserves their colorfulness over time. 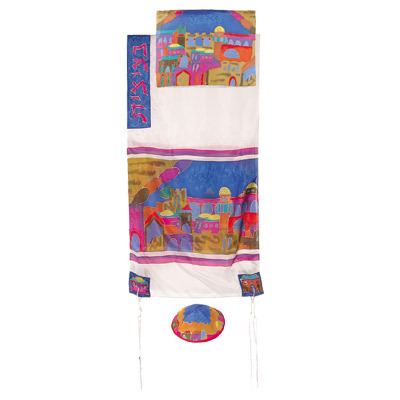 The patterns on the tallit sets depict the city of Jerusalem, the Twelve Tribes, and Miriam and Deborah, over three background colors: white, blue and purple-wine. 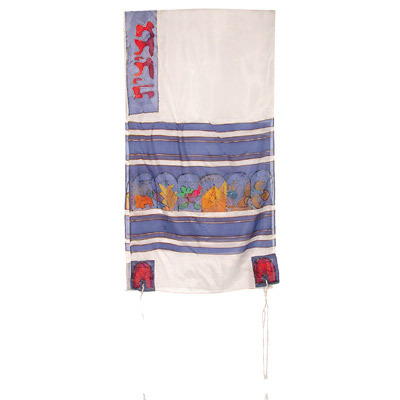 The blessing of “Lehitatef BeTzitzit” – to don the tzitzit– is written on the atarah (neckband). 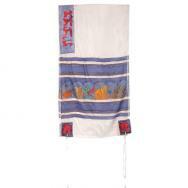 All tallit sets include a matching bag and kippa.